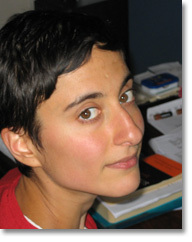 Sophie Lewis is a freelance writer and translator from French. Pushkin Press published her translation of Marcel Aymé’s 1941 novel Beautiful Image in July. She is currently translating Stendhal’s treatise De l’Amour (On Love) for Hesperus Press. She writes for the TLS, PN Review, The Jewish Chronicle, The Liberal Magazine, The Spectator and other publications. She also manages European operations for the American independent publisher, Dalkey Archive Press.